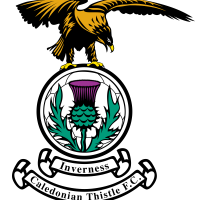 Inverness Caley Thistle continued their unbeaten start to the league campaign with a 3-0 win away at Dunfermline, thanks to goals from Shaun Rooney, Liam Polworth and George Oakley. The win means ICTFC have now gone 16 Championship games without defeat, dating back to last March. Inverness had the ball in the net early on through striker Jordan White, however it was ruled out for offside. The Pars then began to threaten and came close to breaking the deadlock on the 18th minute as Myles Hippolyte’s effort crashed off the crossbar. Just before the half-hour mark ICTFC had a big chance through Joe Chalmers, as Walsh and Doran combined brilliantly which resulted in Walsh’s cross finding Chalmers in the middle, but his header was over the bar. Walsh then was presented with a chance to break the deadlock himself, as Doran capitalised on a mistake in the Pars backline and played him in, but his effort was saved by Robinson. The Pars had a golden chance to take the lead as Ryan Williamson’s dangerous cross from the right-hand side was headed over the bar by Joe Thomson. Mark Ridgers was called into action just before half-time, as he had to produce a great save to deny Louis Longridge from 20 yards. Myles Hippolyte was presented with a big opportunity after the re-start as he was played clean through on goal but some good defending by Shaun Rooney stopped him in his tracks. Inverness broke the deadlock as Rooney met Walsh’s cross and headed in to put the Caley Jags 1-0 up, with his first goal for the club. White could have doubled the lead for the Caley Jags moments later as he met a cross from Tremarco but his header was over the bar. Liam Polworth doubled the Caley Jags lead as he met a glorious ball from Aaron Doran and finished low past Lee Robinson to make it 2-0. Joe Thomson fired one just past the post for the Pars as they looked for a way back into the match. Ridgers was called into action again as he produced a fine save from close range to deny El Bakhtaoui. ICTFC made it three as, substitute, George Oakley met an excellent backheel flick from Aaron Doran and finished from just inside the box to make it 3-0. The win puts the Caley Jags second in the table and just one point off the top of the league. Subs Unused: Gill (GK), Craigen, Martin, Ryan. Subs Unused: Hoban (GK), McCart, Mackay, Brown.